So, if you’re like me, your vacations are oftentimes road trips. There’s no better way to relax. You’re with the ones you love; you’re on your own time schedule, and you have the freedom to go on every little detour your heart desires. Perfect, right? It doesn’t take long for the young, happy family to get started on a dysfunctional road trip. But you don’t have pack muzzles and rope anymore to achieve the relaxing, scenic drive you were looking for. Why? . . . Because you have a Droid. 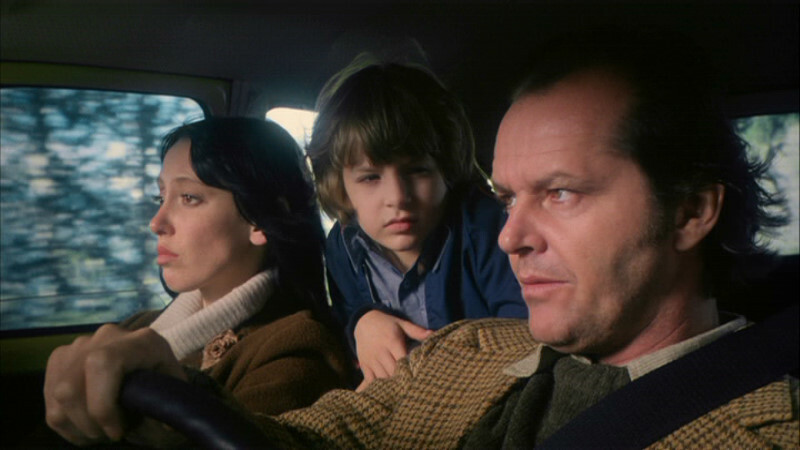 While I don’t actually have any of my own, I often road trip in the company of young children. And this may come as a surprise to some of you, but children get crazy bored on road trips. CRAZY bored. And I don’t know about you, but I can only play the Alphabet Sign Game so many times before I start thinking of new and creative ways to make the Silent Game sound fun again, and that’s starts getting cruel pretty quickly. Homerun Battle 3D – mostly because it’s straight up addictive and will keep them busy for hours. What the Doodle!? – This is pretty awesome. It’s a real time game that allows you to pretty much play Pictionary with other Android users anywhere. See for yourself. Word Up! – It’s also addictive, and keeps them thinking. I have no sense of direction. At all. You know how you used to feel confused after spinning around for a long time with your arms out when you were a kid? . . . I feel like that all the time. But thanks to my Droid, I spend more time lost in my thoughts than I do on the road. I got my Droid a year and a half ago. At the time, the Maps app was unimpressive and unreliable, but it has come a looooong way. Now the Google Maps app has full navigation capabilities and several settings. It will even show me a picture of the exit I will have to take. Plus, I get a kick out of hearing the voice in the navigation try to pronounce signs that have abbreviations in them. Did I mention that I get lost a lot? Well Android introduced the Layar augmented reality app about a year ago. Since it’s introduction, developers have added a lot of bells and whistles, but I love it just for finding simple places, especially when I’m on foot. Let’s say I’ve road tripped to Philadelphia and now I’m leisurely touring the city on foot (Note: Your feet will hurt a lot after doing this. Trust me). I know that Rocky Statue is somewhere, but maps are Greek to me and I don’t know where to go. So I just do a search for the Philadelphia Museum of Art, and Layar pulls up a real time screen with a dot that shows you where the museum is in relation to me. All I have to do is keep walking in the direction of the dot, and I’m there. I use this a lot when I have to park far away from a venue, and by the time I find a spot, I have no idea how to get back to my destination. Layar has a million other cool features, and my description simply can’t do it justice, take a look for yourself. Solid blog post and certainly assists with learning the article better. Previous PostPrevious Friday Fun Post – Happy Birthday Bill White!